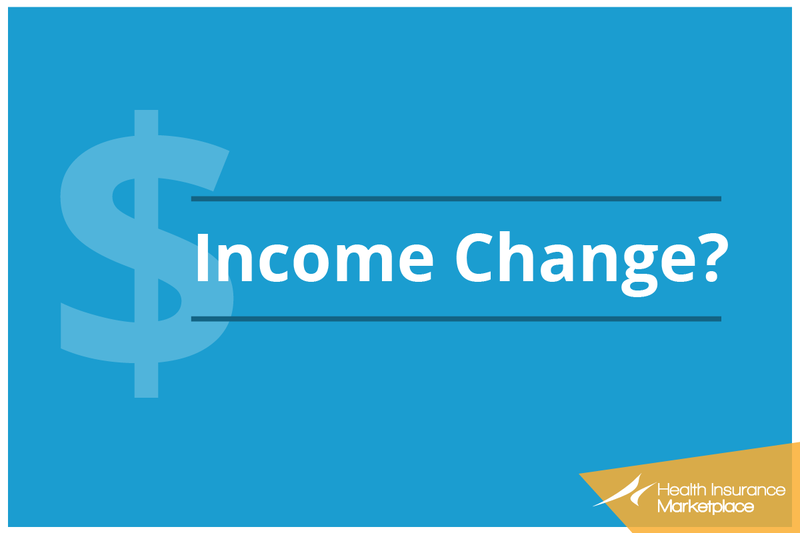 If you’ve had any changes to your household income, it’s important to let the Marketplace know as soon as possible. Your new income can affect the health coverage or savings you’re eligible for. If your taxable income goes down: You could qualify for more savings than you’re getting now. This could lower the amount you pay in monthly premiums. You could also qualify to save on out-of-pocket costs, like deductibles and copayments. Or you might qualify for free or low-cost coverage through Medicaid or CHIP coverage instead of a Marketplace insurance plan. If your taxable income goes up: You may qualify for less savings than you’re getting now. If you don’t report the household income changes very soon, you may have to pay money back when you file your 2018 income taxes. We’ve just improved the way you update your annual household income on your Marketplace application, so it’s easier than ever. Important health insurance tip: You have to click all the way through to the last screen in order for your changes to take effect.